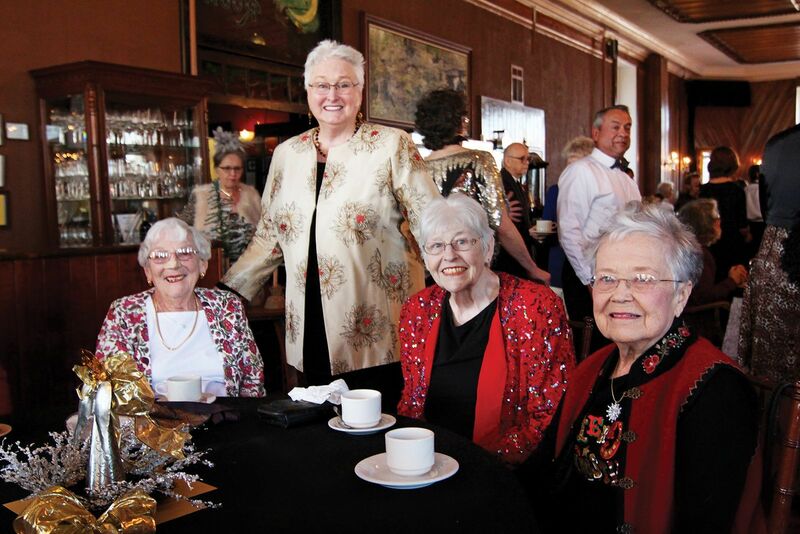 Dec. 5, 8:30 to 10:30 a.m.
Silver Tea is held at the Crystal Dining Room at the Crescent Hotel in Eureka Springs, Ark. 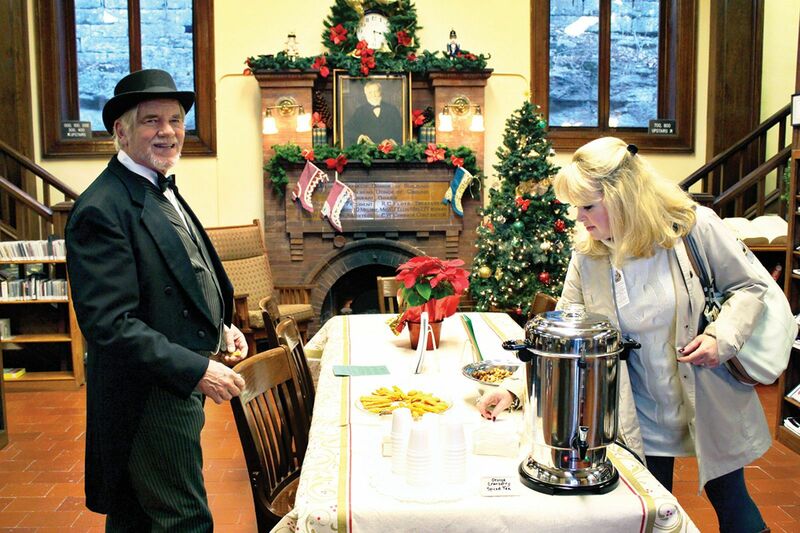 Fitted in full Holiday fashion by the St. James Episcopal Church members, this event kicks off the Christmas Season Celebrations occurring all over town throughout the month. The tables are covered with silver trays full of tea cookies and sandwiches. Each year a non-profit organization in Carroll County is chosen to receive the donations those attending give to visit and share time with friends and neighbors. 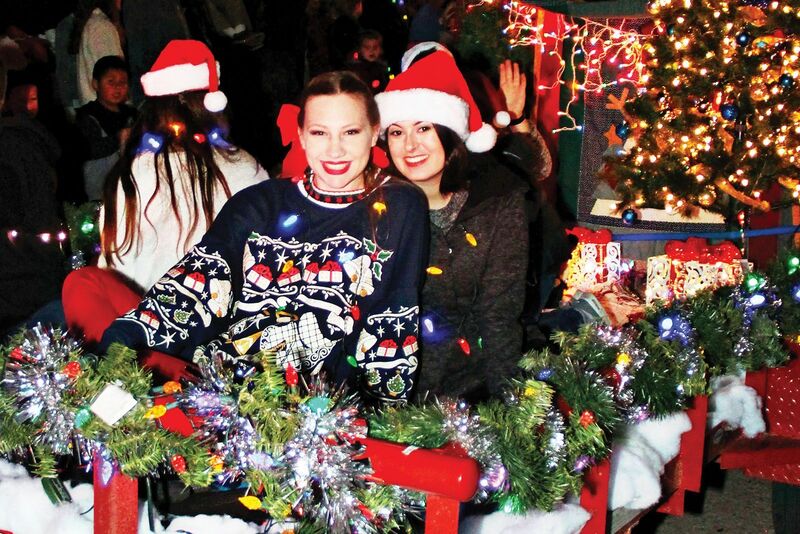 A rain or shine event and one of Eureka’s favorite parades, this evening’s Parade of Lights rolls at 6 p.m. through the beautifully decorated downtown streets with floats, walkers, bands and thousands of lights. Start your holiday season in Eureka. For more information call 479-253-8737. Dec. 7, 10 a.m. to 3 p.m.
Advance tickets online and at the Chamber of Commerce and Eureka Springs Historical Museum. Dec. 7, 7 to 9 p.m.
17th annual holiday concert featuring John Two-Hawks and featuring the Bentonville Washington Jr. High Girls’ Choir at The Aud in Eureka Springs. Dec. 14, 5 to 8 p.m.
Free holiday fun for the whole family! Caroling in Basin Spring Park with momandpop at 5 p.m.
Elfie Selfie Scavenger Hunt, 5 to 8 p.m. Snow, street theater and more throughout this spectacular night of shopping in our historic downtown. Dec. 14, 5 to 9 p.m.
With 1000 Santas (or Krampus) dancing through the streets and Eureka’s Shops filled with a cast of holiday characters in Living Windows one tends to get hungry and thirsty. This year the Holiday Dine Around will provide guest the opportunity to enjoy small plates and unique holiday cocktails at participating restaurants. Dec. 14, 6 to 11 p.m. The Premier Downtown Eureka Springs Santa Scavenger Hunt is back and better than ever! Join hundreds of Santa’s and his helper’s to find spots with games, clues, and trivia throughout the night in Downtown Eureka Springs. It’s time to find out who is naughty and who’s nice! The person who gets the most points will win a trip back to Eureka Springs. (Ties are broken by a randomized drawing. All prizes are final.) Must have an iPhone or Android device to participate – more details to come. Event is 21 & Only. Pre-party starts at 6:00 p.m. with stroll and scavenger hunt starting at 7 p.m.
Tickets available soon and will be on site at the Night Market on Spring Street (the starting point) on the night of the event. Benefits the Main Street Eureka Springs program to bring more great programming to Downtown Eureka Springs. Bring a Santa hat or full Santa gear to participate. Dec. 14, 7 to 10 p.m. The Auditorium presents an all Arkansas Christmas Concert. Performers TBA.